As a voice teacher people ask me all the time about the different voice types. Every singer wants to know his or her voice type. 2) So they know what they can expect out of their voice. Exclusive Bonus: Download the FREE Voice Types Cheat Sheet and understand your range here. I absolutely love this question because people are always surprised to learn their true voice type. So let’s talk about the different voice types in popular music and what you can expect out of your instrument. No matter what level you’re at, the most important thing is that you are comfortable when you’re singing. There’s no good reason for you to strain or hurt yourself in pursuit of high notes if they’re not comfortable. If you’re not comfortable when you’re singing, you’re probably doing something wrong. As we’ll see, knowing more about the different voice types certainly helps, but working with a qualified voice teacher is the best way to maximize your vocal ability. So if you want a vocal program that will help you expand your range without straining, you can check out my complete singing course, Master Your Voice, here. To learn your voice type and truly understand your range, read on. When we dig a little deeper, we find out they think that because their choir teacher gave them bass parts. Go down the road a few years and you’ve got a singer who thinks he’s a Bass and has never experienced the higher end of his voice. But in reality, he was the only one in his class who could sing low notes, so that’s the part he got. Unfortunately, this makes it difficult to sing smoothly from chest to head voice. In fact, most singers form an idea about their voice as a kid and stop reaching to improve it. That’s why many singers never experience the true potential of their voice. So as you read this article, try to keep an open mind. The vast majority of voices fall into one of eight different vocal categories. I’ve included several listening examples below, but for now here is the bare bones list. While all these variables are important, understanding Vocal Weight, Tessitura and Bridge Location are by far the most practical. Even if you don’t know your voice type, they’ll help you make a good guess. Vocal Weight is the lightness or heaviness of your voice. You can think of vocal weight as the difference between a cello and a violin. Yes, they’re both string instruments. And they can even play some of the same notes. But if two musicians play the same note simultaneously on a cello and a violin, you’ll still hear a difference between them. Because of the size of the instrument. The same idea applies to Vocal Weight. A Bass (the lowest male voice type) and Tenor (a high male voice type) could hit the same note. However, the weight of the sound the singers get on those notes will be totally different. Also, if you’re watching these guys sing the same high note, you may see the bass struggling for the high note a bit more than the tenor. Which leads us to tessitura. Tessitura is the range of your singing voice that is comfortable for you. And the high note in the last example was not the Bass’ tessitura. But wait, how is that different from range? Range is the measure of the lowest and highest note that a singer can possibly sing. Tessitura is the range of notes where the voice is comfortable and at rest. Tessitura is a much more important factor than range when you’re deciding what song to sing. As a Tenor, you may be able to hit a G5 (range), but only sing comfortably up to a C5 (tessitura). The C5 is much more doable if you had to sing it in a song. The most important thing is that you’re comfortable when you’re singing. If you feel like you’re dive-bombing to hit low notes or squeezing the life out of your voice to sing high notes, those notes are outside your tessitura. At least for now. Ideally if you’ve been singing for a while, you can sing powerfully in all the registers of your voice (If you can’t, consider taking some singing lessons to help you make those transitions a bit smoother). But when we talk about tessitura, we’re talking about the comfortable singing range that spans across all the vocal registers. Not just the chest voice. And that brings us to bridge location. Now that you’ve got an idea of how vocal weight and tessitura affect the voice, let’s talk about something we all have in common. In speaking about voice types, Seth Riggs, founder of Speech Level Singing would always say that 99% of males are some kind of tenor and 99% of females are some kind of soprano. It seems to defy everything we’ve discussed so far. Seth realized that most of his clients struggled with finding a connection between the different registers in their voice. 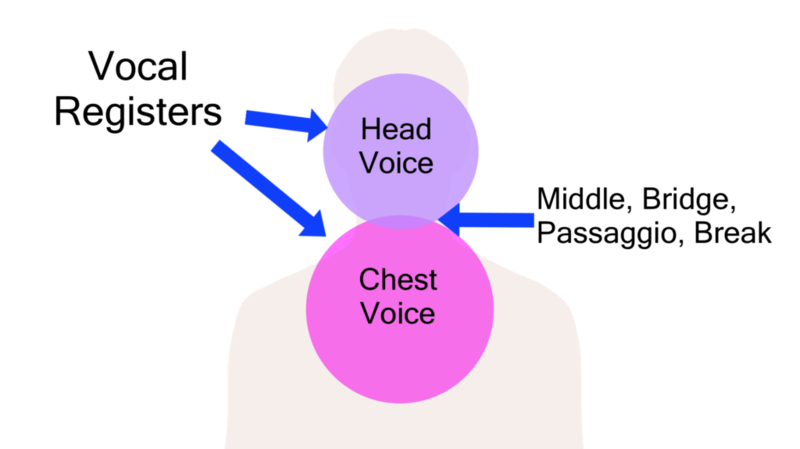 This transition between the chest and head registers is called the bridge or passagio. Seth Riggs noticed that most men and women transitioned to their second register at about the same spot: around E4 for men and A4 for women. Because finally someone was able to point to a music staff and say this is where the trouble spot is. No matter which voice type you’re talking about, most men are going to have a tough time singing that E4 and most women have a hard time singing an A4. 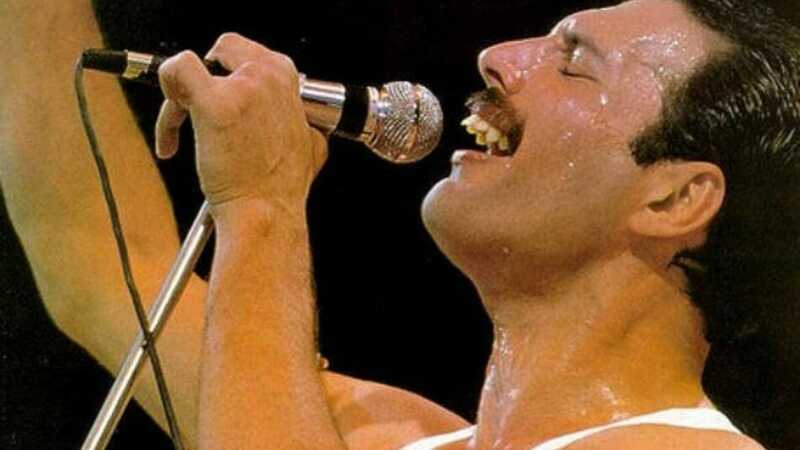 That knowledge allowed Seth to create a vocal technique that addressed the need for singers to hit high notes without strain or falsetto, regardless of their actual voice type. So from a practical perspective, if you can’t sing throughout your range comfortably (tessitura), what’s the point in discussing voice type? It’s better to get the whole range comfortable, then worry about choosing songs that fit your tessitura and vocal weight. So what do vocal weight, tessitura and bridge location have to do with voice type? While you can always expand your range up or down (it’s easy with practice), tessitura is a much better indicator of where your voice really shines. Likewise, knowing your vocal weight is helpful in choosing songs with notes that are right for your voice. For example, if you’re a Baritone, it’s much better to hit an A4 with the full heft of your voice and let the Tenor sweat a C5. If sung correctly, that A4 will sound just as good in your voice as a C5 in his. And with our understanding of the bridge location, we’ll see that none of this matters if you’re unable to sing between your different registers. So let’s take a look at the eight different voice types and some listening examples of each. Does your voice stay low and resist high notes? Or are high notes relatively easy but you find yourself scraping the ground for the low notes. Additionally, where do you hear their voice switch to a different register (if at all)? Remember most of the men will bridge around an E4, and most women will bridge around an A4. The Bass is the lowest male voice type with a tessitura of around E2-E4. The Bass vocal sound is characterized by a low, rich rumble with a ton of vocal weight. Man, I love the sound of a true bass. They’re so rare. The Baritone is a pretty common male voice type with a tessitura of A2-A4. The Baritone vocal sound is incredibly exciting because it has weight and when well-trained, it can be carried beautifully up to the higher notes in the male voice. The Tenor is also a very common male voice type with a tessitura of C3-C5 and a lighter vocal weight than the basses and baritones. Growing up, I was always embarrassed at how people would mistake me for a woman on the phone. Now I’m glad I’ve got those high notes. Tenors are insanely popular in contemporary music right now. Because of their ability to hit high notes with apparent ease, they’re all the rage. You can sing high notes also. If you’re a Bass, make your E4 sound amazing and you’ll the audience eating out of the palm of your hand. Ditto for a Baritone singing an A4. The Countertenor, like the Bass, is a very rare voice type. The countertenor has a tessitura of E3-E5 and the lightest vocal weight of all the male singers. When you hear these guys speak, if you couldn’t see their face, you’d think it was a woman you were talking to. Their voices are so light! There aren’t many countertenors in pop music today, probably because we love a mix of high and low notes and the low stuff is just not comfortable for countertenors. The Contralto is the lowest female singing voice and like the Basses and Countertenors, they’re quite rare. The Contralto has a tessitura of around an E3-E5 and a good amount of vocal weight. These are the ladies that almost sound like men when they speak or sing lower notes. The Alto is the second lowest female voice type and has a tessitura of F3-F5. While this voice still has a good amount of weight, many trained Altos can hit huge notes at the top of their range. Others stay low all the time. The Mezzo Soprano has some of the most interesting vocal sounds available to her. Like her male equivalent, the Baritone, the mezzo falls in the middle of the female voice types. The Mezzo has a tessitura of A3-A5 with a lighter vocal weight than the Alto or Contralto, but with enough attitude to let you know how she really feels. Mezzo sopranos tend to make the highest notes sound incredibly exciting due to the weight they have in their voice. The Soprano is the highest female voice type with a tessitura of C4-C6 and the lightest vocal weight of them all. But don’t let their lack of weight fool you, modern music loves Sopranos because they can belt those high notes with power. And since they have less vocal weight to carry around, you’ll notice that Sopranos have a lot of flexibility in the different registers. Now that you’re starting to see how your voice stacks up with these great singers, it’s time to determine your voice type. Remember, voice type is directly connected to your range. Go to a piano or download a free digital piano app–I like the app “Real Piano”. It works for Android and Mac. A good rule of thumb is that a man will probably be able to sing down to a C3 and below and a woman will be able to sing down to an A3 or below. Next, compare the lowest and highest notes you can sing to the voice types cheat sheet you downloaded. Of course, just because you can hit low notes like Johnny Cash, that doesn’t mean that you’re a Bass. Is your voice truly comfortable in his range? Also, do you have the same vocal weight as his voice? All voice types are created equal. There’s no shame in being a Baritone versus a Tenor. You can always work on your voice in singing lessons if there’s something that you want to fix. But be glad that you have your own unique voice. If you’re new to singing and still have a break or flip in your voice when you sing an E4, then it would be wise to avoid singing in that area when you’re performing. Of course, if you’re taking voice lessons, we’ll isolate that specific area of your voice and work on it until you have a beautiful, powerful note. If you’re a baritone, you still have plenty of songs with notes that fall below E4 (the bridge note where most men have a break in their voice). In fact, you could argue that it’s more important for Tenors and Sopranos to fix their break than any voice type since they have so few notes on the bottom to work with. These voice types have a pretty limited range if you don’t have a strong upper register. Sure they’ve got tons of head voice, but if there’s no power to the sound, then they’ve really only got a little more than an octave to work with. Now, I’ll admit that while it’s possible to have a career singing mostly low notes (look at Lana Del Ray and Johnny Cash), in commercial music these stars are few and far between. We live in the age of high notes. And everyone’s trying to outdo each other. That’s why it’s more important than ever that singers of all voice types work on their voices to achieve their full potential. Don’t push yourself to hit notes that are outside your comfortable singing range. How Do I Get the Most Out of My Voice? If you’re a Bass, you should be working to sing an E4 to the absolute best of your ability. It’ll sound just as exciting as a Tenor’s high note. If you’re a Baritone that means working to sing up to an A4 with the rich and full quality that your vocal weight is built for. If you’re a Tenor and you have a break between your chest and head voice, you shouldn’t rest until you fix that. Once your voice comes together, the world will be your oyster. If you’re an Alto, make that A4 shine with the glorious weight that your voice was blessed with. If you’re a Mezzo Soprano, that means singing an A5 with the full and beautiful sound that Sopranos will be totally jealous of. And if you’re a Soprano, we’ll just stare in awe as you shatter glass with a C6. The point is that the getting the most out of your voice type depends completely on how hard you work at it. That’s why taking regular weekly singing lessons with a qualified voice teacher is the quickest way of maximizing your vocal abilities. I created a free voice types cheat sheet that you can use to apply the most important info from this post in your own singing. The cheat sheet contains the ranges for all 8 voice types, laid out in an easy to read keyboard format so you can check your range at home. And the best part? I also included the most famous singers from each singing category. That way, you can start learning songs and know that they’ll be in a good range for you. Sign up here for the free cheat sheet! So glad you found it helpful Lele! I HIGHLY DOUBT ANYBODIES TESSITURA STRETCHES OVER 2 OCTAVES. E2 – E4 IS THE COMMONLY CITED RANGE FOR A BASS, I.E. THEY ARE THE EXTREMES, NOT THE COMFORTABLE RANGE. MOST MEN MAKE THE SWITCH TO HEAD VOICE BETWEEN C4 AND F4. TESSITURA IS USUALLY MEASURED IN SINGLE OCTAVES OR LESS AND CAN RANGE FROM SINGER TO SINGER. Hey Ronald, thanks for your comment. While individual tessitura will vary by the singer, two octaves is a standard comfortable singing range. Hey Alexa, thanks for your message. Like I said, these ranges are just guidelines for determining voice type. So if you’re finding that your range is closer to a Tenor, you would probably be classified as a Contralto. Go and sing some Eurythmics or Lana Del Rey! You got it Ray. So glad it helped you! Im not a singer, but maybe you can answer this for me. I just discovered The singer Orville Peck. He seems to have the widest vocal range of any singer I’ve heard. I’m really curious about the exact range & whether it spans 6 or 7 octaves. Hey Michelle, maybe you can give me some idea of what song you’re curious about? I listened to “Dead of Night” and it sounds like a pretty typical 2.5-3 octave range. He sounds like a tenor to me. Hope this helps!